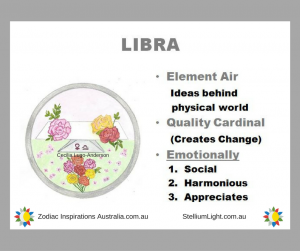 The moon entered Libra at 3:52am on 31March 2018. The Moon was #almostfullmoon and gorgeous in our sky Last night 🌕heading to face the Sun ☀ Full Moon 🌕 @ 11 degrees of Libra at 11:36pm on 31 March 2018. For the artist’s life is, of necessity, full of conflicts, since two forces fight in him: the ordinary man with his justified claim for happiness, contentment, and guarantees for living on the one hand, and the ruthless creative passion on the other, which under certain conditions crushes all personal desires into the dust. Mars in Capricorn is out of the sight of the Sun☀ in Aries injecting ourselves full of ambition and is about to meet Saturn, the master teacher that is challenging the Sun in Aries to do his best! And how we do our best? They are telling us that is being disciplined, organised and focused on the goal. “More than half of people who leave their jobs do so because of their relationship with their boss. Smart companies make certain their managers know how to balance being professional with being human. These are the bosses who celebrate an employee’s success, empathise with those going through hard times, and challenge people, even when it hurt”. Take the advantage of the Universe energies at the moment and look inside to boost confidence to succeed! 🌕🌖🌗🌘🌑🌙Come along on Sunday 15 April under the courageous Moon in Aries and Venus in one of her homes -sign of Taurus, to be aware of the changes ahead in 2018.
cosmic energies for 2018 and tune in with the Moon to take care of your emotions, and connect with your feelings through Venus’ journey to kiss the Sun aligned with us. 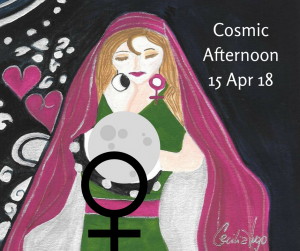 Facilitator -Cecilia Lugo-Anderson – Consulting Astrologer, Artist and author of the Moon Calendar since 2015.